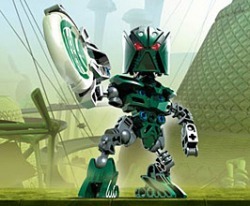 In the time before time, Metru Nui, City of Legends, faces danger unlike any it has known before. A mysterious and powerful menace threatens the city, striking from the shadows and then disappearing, leaving rubble in its wake. 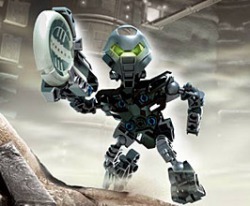 Six Matoran hold the keys to its defeat, but they have disappeared! 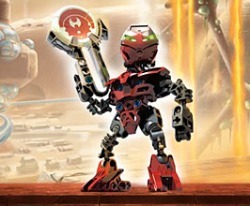 Worse, one of them has been touched by darkness and plots against all of Metru Nu. Ahkmou loves to compete, but always seems to come in second best. Now he plots to change all that -- and Metru Nui may never be the same! 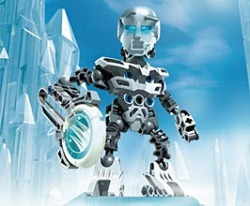 Ehrye has always hoped one day to work in a Ko-Metru Knowledge Tower, studying the secrets of Metru Nui. But will he use his knowledge to bring down the city? 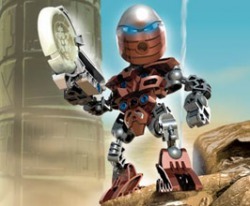 Tehutti has worked in the Onu-Metru Archives for years, and dreams of finding a treasure that will bring him fame and fortune. 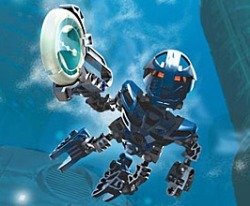 But will his dream bring danger to the city of Metru Nui? Nuhrii hopes someday to be the most famous mask maker in all of Metru Nui. Now he has the chance to create the ultimate Kanohi Mask -- but his plans puts the entire city in desperate danger. As chief Ussal rider, Orkahm knows all the hidden streets and alleys of Le-Metru. Now a secret he discovers will plunge into the middle of a plot that threatens all of Metru Nui! Vhisola is a brilliant scholar and a champion in the kolhii disk arena. But will the secret she knows spell the end of Metru Nui?